The pair of Imuchakk landed on the ground after entering the gate finding themselves in the new environment, as they would gain their senses they would soon hear a strange sound of sand trickling and then a light thud in the almost noiseless desert. While looking to the sides they would notice a pair of people landing. This pair was 20m away from them, making it difficult to make them out. It seemed a large feline creature with a small black animal landing on top of it also arrived with the new people. The arriving pair of magicians would take a second to gain their senses and after looking around for a bit would be able to notice the Imuchakk in the distance. Both of the groups would realize the Necropolis was scorching hot, exceeding temperatures of any of the rooms before. They would feel it slowly burning away at their bodies, dehydrating as time went on. The air was so dry that even breathing felt strange as slight sand particles, drifting through the air with the picking up of the wind, began to scratch the back of their throats. Looking around the Necropolis they would notice it was mostly vast and empty besides the large rocky cliffs in the distance. Sixty meters ahead of them was a massive stone tower. It loomed high into the sky, touching the clouds while giving off an ominous presence. 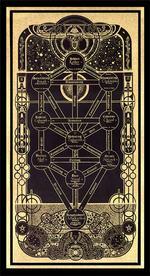 It was a monument, showing the amount of power the Djinn who had created this entire space really must have. 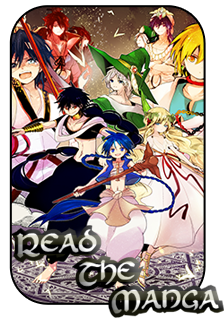 To the right they would see another sign of the Djinn's power; a sudden stroke of wind, coming from seemingly nowhere to non-magicians, but preceded by the appearance of Rukh, created a massive sandstorm that began to zoom towards them. It was clearly obvious that this place was much more dangerous than any of the previous rooms. The dog looked at the pair of Imuchakk wondering how they would fair in the dungeon. He wondered how they would approach now that they had gotten this far and how they would react to the arrival of the other group. The dog was here to help the blue haired warriors, but he had hoped to avoid conflict because he had no idea what would happen... And if his life was endangered he would surely run to save himself. "So, should we hurry up and try to get ahead of them? I know you're strong but I want to avoid conflict at any cost." The small black cat shook the sand off his body and panted in reaction to the heat while looking over at the magicians wondering what they would do. He had no idea what the others were like so he would just do his best to protect the people that had helped him. It was his job to guide them, so he would make sure to stay close to his word and protect them the best he could. "We should start moving, I think. It seems like we'll be in danger if we stay here for long." OOC: You have 48 hours to post if you do not post within in this time then there will be a proxy auto-post. From now on list your damage and stam/magoi levels. For every post you're in the necropolis you take D-tier dehydration damage. Dehydration damage essentially drys your character out and as more damage applies the skin gets dryer and your body has problems functioning without sufficient water. After 4 posts a slight a your character will be disoriented, making it where you are dizzy, until healed with either a potion, spell or you may use a water spell equivalent to the damage taken to drink it and heal. The Sandstorm is moving towards the group from 160 meters away at 80 m/s. Those caught not reacting/defending themselves from the sandstorm will take B-Tier ability damage. This Dungeon so far had been a little slow, and very tiring while it had kept Ani on her toes after the first few encounters nothing had prepared her mind for this next area. As she gained back her senses her blue hair that shined under the desert sun fell a bit disheveled around her face, but it still complimented her beauty. Staring off at the tower her pink lips had spread open slightly to show off an awe inspired look. Though soon enough she stood up and wiped her glistening forehead off feeling the bright sunlight on her skin as the heat got to her unlike the other parts of the dungeon. Once she was done staring at the tower she slowly turned her head to see the sandstorm. It was then she saw the horrifying power that both filled her with adrenaline and a glimpse of the power she could possibly gain from this dungeon. Though one thing was for sure they needed to get away from this storm and fast. As the words of Spayce fell upon her ears she saw the magicians and quickly moved within of earshot distance of them all. "Noir, the chances of surviving this part of the dungeon will increase if we work together!" She exclaimed to both groups before turning to walk. "Follow me and Hoy, you help us and we'll help you." Whether or not they would get help would depend on the magicians, but Ani didn't have much time to wait for a reply from them. So she stood still for a moment before walking at a fast enough pace to try and get away from the storm, but slow enough that the three magicians along with the animals could get close and form a plan to survive. Though however deep inside Ani wished that she could do something herself, but she planned to lead knowing that if she wanted to make it through she would have to rely on them even if they were competitors in the dungeon. After all Ani planned to finish this dungeon no matter what. Damage details: D-tier dehydration damage to Ani and Hoyo. Arriving in the necropolos Yakuroro immediately rose off the ground and took in his surroundings with keen eyes. Upon taking everything in, the Imuchakk found the other party of dungeon divers to be of little consequence in comparison to the amassing rukh in the distance. He watched the storm form as the dungeon's magic gave birth to the force of nature and sent it hurtling towards them. It didn't take the advice of a beast for Yakuroro to conclude that they needed to advance towards the tower as quickly as possible. Sticking around to brave the storm was foolhardy and would serve no good. Unfortunately, Ani had wasted precious time by moving closer to the other group. It wasn't exactly smart to rely on others as far as Yakuroro was concerned. There was no telling whether or not they would truly help or betray Ani for their own purposes later on. The displeasure wouldn't show on Yakuroro's face since he was still clad in his djinn equip that masked his expression behind a flickering shadowflame. A stoic voice simply demanded that Ani waste no further time trying to enlist the others to help her cause. "There is no time, we must move now." The urgency in Yakuroro's tone must have rung clear as Ani then began to walk towards the tower. Unfortunately, she was also shifting her path to meet up with the other magicians and only moving at a fast walk. "You need to run! NOW!" Yakuroro would shout before flying off towards the storm. "I'll see what I can do about this but don't count on it!" The flight towards the sand storm would make Yakuroro painfully aware of how fast it was moving. Just as the heat made him aware of how his body felt unnaturally dry. He would stop several meters ahead of Ani in relation to the tower with his body positioned between his companion and the approaching storm. Yakuroro stood on empty air with Marax's greatsword raised, waiting for the maelstrom's approach. Once Noir landed on the ground, she was startled by how violent this area was compared with previous areas. The black haired girl knew that they needed to find a way to exit this area soon or they would end up being grilled to death, so the first thing she did was asking about their condition even though it was clear that they wouldn’t be able to stand it for a long time. “All of you, are you alright?” She asked, but her gaze was more focused on her mentor’s wound. The female magician couldn’t help but to worry about it even though she already tried to cover it by using ice, she just didn’t want his wound to be more painful in this kind of area. Her mentor was already acting weird before in her opinion, suddenly his facial expression changed into something else. It was something that she had never seen before and she was confused on why the silver haired man would let himself to soften up at that time. The clueless girl tilted her head to the side, trying to think about why her mentor could act like that but she realized that it was not the right time to do that as they needed to find an exit as soon as they could. “Neo, can you bear it?” Noir asked with a very gentle voice, showing her worry and sincerity in her question, even her usually flat expression could change into a worried look. Then after making sure that her mentor could continue the scorching adventure, she would look around a little bit only to find a pair of Imuchakk that she recognized. When she looked at Ani, she was relieved to see that she was okay and would wave to her if in case the Imuchakk lady noticed her. At the time, Noir was not sure if she could approach them or not but just when she wanted to ask her comrades if they want to approach the pair or not, Thyme suggested them to start moving. After hearing that, the black haired petted the kitten and then nodded before finally start moving. Probably she would approach the Imuchakk pairs to team up if they let them to do so, just in case if there was anything dangerous resided in this area and made them stayed for any longer. She could just hope that they would want to work together to find the exit, just because if they didn’t help each other, one of the groups would die because of the scorching heat. When she saw Ani approached them, Noir tugged her lips to form a small smile which was very rare for her to did so. It was nice to have the female imuchakk to have same idea with her. Thus, when Ani suggested to team up, Noir would say, “I believe I don’t have any reason to refuse… I cant let my comrades to suffer any longer in this area. However, it won’t be us, following you and Hoyo.”She paused for a second before continuing, “It would be us, walking together side by side with you to finish the dungeon....” The black haired girl knew it was risky for her to said it, but it was the truth the she felt and she voiced it to the other competitor. However, she needed to focus for the dungeon and get ready for any incoming danger. She would motion her hand to command Haku and Thyme so they stayed close with her before saying to Adrastos, “Let’s move quickly, shall we?” Then she started moving together with her comrades, but hoping they were quick enough to avoid the storm. She would do everything necessary to defend her comrade from the storm. Adrastos groaned as he got to his feet to look around at the new terrain they were transported. No doubt this was hell, the one that had no fire and brimstone, since the heat that could turn them into human beef jerky was more intense than any of the previous rooms. Perspiration already coated the blue magician’s skin and caused his garments to stick to his skin, but there wasn’t a whole lot of time they could waste; behind them roared a giant sandstorm, hungry to engulf the dungeoneers within the cloud of sand and howling winds. However, instead of advancing, trying to get to the tower that looked over the treacherous death trap they now had to brave, Noir and Ani struck up a truce between themselves, something that the man with silver hair did not agree with. He didn’t complain though, seeing that he was not in the position to do so; Adrastos was merely the companion, after all, but that didn’t mean he had to agree with everything Noir did. “I can bear anything. Let’s just go,” he responded gruffly, his softer countenance nothing but memory long lost to time. With that, he walked with the other two after the mysterious figure went to try to deal with the approaching sandstorm. The brutal race had begun, not between the two contestants, but between the groups and the sandstorm with the blistering heat. Not a single moment of hesitation would be allowed. The sooner they got to the tower, the better their chances were at surviving this infernal place. In a matter of seconds the monstrous sand storm would sweep over and consume the participants. If they did not react soon they would find it harming them significantly. Instead of preparing to defend against the oncoming storm they only ran ahead despite the speeds at which it was heading towards them. The only one preparing for the oncoming attack was the king candidate who flew towards it seeming ready to clash with it. If they did not defend against it they would find it consuming them clouding their vision to where they would not be able to see one another. The cutting winds slashed the sand and other debris, it would choke the very breath from their lungs and slice across their skin. Space and Thyme knew they would not be able to protect the other from the oncoming storm but they each put up their blocks in preparation for it. In the few seconds in which this would all take place they would either be safe or had taken damage from the oncoming storm. The immediate danger would be over and the only thing endangering their lives at the current moment was the heat, as they had decided to work together by the look of it. After the storm had passed they would noticed that sand had upturned a few things dropping things it had carried during it, there were a handful of skulls carried by it, some broken after hitting the ground because of their condition. There was also a tore up leather satchel that was barely identifiable unless one looked at it for a few seconds. If they looked at the rocks that stuck out they would notice slashes that were embedded into the rock from the powerful winds. The animals looked around as things had calmed down making sure that everything was fine. They checked their groups to see if they had been harmed or knocked around by the winds, after doing this they would move on going towards the tower to guide them. They had to make sure to do their jobs and guide them to the djinn. Make sure to clash with something to protect your self or something big enough to cover the area of the storm or who you are trying to protect. As the two groups got closer, Yakuroro adjusted to match them moving so he was several meters ahead of the group and only half a meter in between them and the incoming storm. "Gather closely! Marx Divide!" The Imuchakk shouted as he poured magoi into his greatsword calling for the magic of Marax. The already massive weapon would grow to an incredible size stretching to a length of 25m and a total width of 5m. Normally this ability would be used to perform a single giant attack, however Yakuroro would instead ram the burning blade of light into the sandy ground. The heat from the shining weapon would melt sand to glass as it settled into place making it's position as a bulwark all the more sound. "Stay behind the sword! Don't get to close, but don't stray far from it either!" Yakuroro shouted as he positioned himself behind the giant weapon's crossguard and kept a hand on it to maintain a flow of magoi. When the storm crashed against the blade it would hopefully act as a barrier large enough to protect the entire group from being battered. A burning wall of light to protect from the harsh and unforgiving sands and winds. The skulls and rocks that blew into the blade would be burned up into ashes in an instant, the only real danger being if the winds and sands could somehow close in around the barrier fast enough that the group's closeness to it would not matter. Description: When cast, the blade of Marax's weapon equip grows to be a massive 20 to 25m long sword. This blade takes on the appearance of a brilliant shining great sword of light wrapped in a glowing aura. This massive blade can then be swung at 25 m/s for a single attack. This sword deals A-tier cutting and burning damage. The wounds left behind by this attack are cauterized from the intense heat of the false light leaving behind 3rd degree burns. Noir was uneasy at that moment, knowing that she might need to clash the storm with a spell that she had and wished the spell could stop it. The heat was unbearable and all those dangerous things inside the storm were make her more cautious as well, she would motion Haku to stay close to her and also stayed close to each other. When Ani’s companion shouted to gather closely, she witnessed his strength and how capable he was to create such kind of weapon. Without wasting any time, she would then called her mentor, “Neo, let’s trust him to handle it… or we’ll be killed by the storm. Stay close with me…” Noir spoke with a determined tone while motioning Haku to stay close to her too. The black haired girl wondered where the man got such kind of power; it was very powerful, violent and so endearing at the same time. It piqued up her interest and her thirst of gaining the knowledge of such powerful strength, Noir might need to have a little conversation with him later if possible. But first, she needed to focus on the storm. As it got closer, she could feel the harsh wind and sands blowing towards her and the only thing she could do was only staying as close as possible behind the Imuchakk male. Besides that, the female magician would cover her nose only to prevent herself to inhale the sands and gripped her wand tightly just in case she needed to use it. Right now, she would just hope that Ani's companion's power would be enough to shield them from the sandstorm. Ani was running to make sure that she would survive the storm, but she then rolled into the protective zone set up by Yaku clashing with the storm. She looked up to the blade with Hoyo next to her with a look of awe on her face as she saw another example of the powers a djinn could give a person. Deep inside this lit her fire for adventure only increasing her determination to to complete this dungeon. So she closed her eyes and stayed behind the barrier with hopes that the storm would be over soon enough. Though when the sandstorm had finally passed she let out a soft sigh of relief, but also bit into her lip slightly as she could feel the heat still beating down. Ani quickly checked over their ragtag group before letting out a soft sigh taking the lead once again. "Alright, let's keep going and everyone make sure to watch out and report anything they see that seems suspicious immediately." She stated as she lifted her feet walking forward towards their goal a look of determination on her face as her powerful beast walked by her side to be ready in case more danger appeared. The power the strange, dark creature wielded was something Adrastos had never seen before in his life. He probably should have been wondering why it was even helping them, but Adrastos wasn’t the one to care unless it had some notion of betrayal within its misty head. The eyes and thoughts of the silver-haired magician were solely directed toward the sword that was created to clash against the sandstorm for protection. Was it something he could even obtain? Oh, how much he did not know, and now yearned for. Adrastos was distracted by Noir telling him to stay close, that we should trust the monster to take care of things. Really? Was even her opinion of him swaying? Did she not think he could hold his own? Be strong? Or was Adrastos now something unnecessary because awe captured her being, making Noir think of the creature more highly? To make matters worse, the Imuchakk girl, Ani, took it upon herself to be the leader of everyone. Noir didn’t seem to have any reaction to this, nor did she have one about anything else either. Regardless, Adrastos seethed with rage, feeling himself boil over just a tad at the girl’s attitude and how she seemingly took control. He came in this dungeon following Noir, and that was the only person he would be willing to follow. But he couldn’t say anything could he? By going into this dungeon, he forfeited his position to say anything, even if he was nothing from the beginning. He followed Noir and Ani, his hand fiercely gripping his wand as he made sure to not stray too far from the sword. This truce did not look good to the blue magician, but he had willingly entered so how could he complain. They just had to deal with Ani and her monstrous new friend until they were out of this godforsaken room. All four of them were able to survive the storm without taking any damage because of the king candidate. The sword managed to burn anything that had come into contact with it. The rest of the storm went around the sword as they were protected and after a matter of seconds the rest of the storm was gone. The group was surrounded by the glass, burnt objects surrounding them along with some objects that had missed the sword and just fell to the ground. They would walk past all the debris from the storm heading towards the massive tower. They had made it past the first obstacle of the Necropolis, now they had to survive the drought. The howling winds of the now distant storm was the only sound besides the possible conversation they might have among one another. They would pass by some of the large cliffs, there was nothing significant about them besides the marks left from the powerful storm. After they had began walking for a few minutes and drew closer to the tower they would see a rock structure standing solid by itself and strangely there were no marks left on it from the sandstorm, as if it had not affected it in the slightest. Looking closely at it they would notice that it looked like it was moving but they couldn't tell from their current distance. After they came within 20m of the tower they were now 10m in front of the strange rock, which was now starting to shift. The rock moved around, slowly but surely making noises. It was obvious that the rock was alive, for it kept making strange noises like a waking person. As the rock started to unfold it was revealed that it was actually a massive golem. It let out a loud bellowing groan before looking at the people who walked towards it giving a curious look. He would wait for them to get close enough to talk, mumbling to himself while staring. "Hmm first a storm and now this after my nap, that's just fantastic." You will not be able to attack the golem in this post but you will be able to speak towards it. “All of you… are you alright?” Noir would ask after they managed to survive the sandstorm, she would then thanked the companion of the female Imuchakk while still wondering if he was this male Imuchakk from before but with entirely different form. But with an unnoticeable warm smile, the black haired girl would bow down at him and showed her gratitude, “Thank you for protecting us, umm…” She forgot that she had not known about his name and she thought that it was necessary for them to know each other to made it easier for them to get along so they can went through this area together. So with a brave and determined gaze, Noir bowed down again and said, “I apologize for not introducing myself before. It was a late one, but still… My name is Noir; it’s a pleasure to meet you, strong one.” She meant it, even though she knew that he was her competitor. But she couldn’t lie, probably this man was as strong as her mentor in the terms of strength and intelligence and she was interested to know more about what kind of power that this man held. After she was done, she would then go to Adrastos’ side only to check on his injuries. She would pour her focus for her mentor since she was worried about him and hoped that the dehydration would make him in more pain. The female magician could feel it though, her lips were dry and her throat felt like it was on fire. She needed to be careful and kept observing her companions’ condition; she didn’t want them to suffer from this heat and made their body weak because of that. With a motion to her wand, the golden eyed girl cast a spell that would produce a huge amount of water that was enough for the entire group, she would freeze the bottom of the water ball so it would act like a bowl for the water itself and everyone can just scoop the water with their hands to drink it or even use their flask to store the water. It was enough for everyone to re-hydrate and after she asked her companions to drink, without hesitation Noir used her hand to scoop the water, making her skin felt the coldness of the water itself and then brought her hand close to her face only to drink it. She would look at Ani and her companions before offering them to drink, “Please, help yourself.” It was also her form of gratitude to the male Imuchakk for protecting them before, so she hoped that they would accept it. Noir would then wanting to move as she knew that they should not waste more time here, knowing that it wouldn’t be good for their body of they stayed longer. So after re-hydrating herself, she would ask, “Shall we go?” Her tone was calm, determined but was influencing at that time, there was no need for her to act so hard to be a leader and instead, asking them to walk together with her was already enough for her. She believed that being a leader was not only about leading, but making sure that they also walked together no matter what, observing everything and also fight alongside each other while also didn’t forget to hear for their suggestion whenever necessary. At the very least, she didn’t even think that she was the leader of their group, but she was merely their comrade even though sometime she knew that she needed to lead whenever possible since Adrastos might be prouder of her in that way. After they arrived in around 10 meters in front of the strange looking rock, Noir’s eyes would be widened as she saw it starting to move around. It was surely a new thing for her and she was not sure on how to react, it didn’t look dangerous like the one that she saw in that island but still… she didn’t know on what would happen next so she would just kept her guard up. The moment it stared at them, the female magician would stare back but without any fear at all, her gaze was also full of curiosity as she began to take a step closer. She stared at her companions, “Come with me to approach the golem a little closer?” Noir began to ask Neo and her other comrades before finally stepping towards the golem, she wanted to know what secret that the golem might have. So she would mount Haku and stepped forward until she was 8 meters from the golem, “Greetings.” She politely bowed her head down for a second before looking directly to the golem’s eyes, she made sure that her voice was loud enough to be heard by the golem. “I apologize for disturbing your time but I wonder if you have any kind of knowledge regarding that tower?” Noir pointed at the tower and patiently waited for the golem to answer her. Any information would be useful for them later on and would make them more prepared to enter the tall tower. However, if the golem started to attack her or even showed some dangerous sign, Haku would not hesitate to bring his master away from it and Noir would also fight back. Description: The user commands the rukh to gather and form water sphere at 20m/s with a diameter of 90cm where the bottom will be frozen into a icy bowl to hold the water. The water is used to hydrate anyone that drinks from it, healing B-tier dehydration in instant. She had thought about what she could do and paused when she saw the rock creature standing in front of them. "Alright, let's talk to him, but be careful everyone." She said giving each and everyone of them a nod before he walked into speaking distance with Hoyo by her side. She waited till Noir had asked what she wanted to ask and then she decided to ask one herself. "Are you the guardian of this tower?" Enduring the storm was a much shorter feat than Yakuroro had been preparing himself for. It seemed that the maelstrom passed over them just as swiftly as it had crashed against his defenses. This was a surprise to the Imuchakk, but a welcome one as he watched the sands move away from them and ceased the flow of magoi into his weapon. The greatsword of light faded away leaving only the true blade held in a reverse grip within the King Candidate's hand. One might have questioned whether or not the blade of light had even been real due to how quickly it vanished, had it not left proof of its existence behind in the form of cooling glass forged from sand. There were no words from the Imuchakk in the aftermath as the group inquired upon each others well being. His focus was forward, on the tower where their ultimate goal awaited. The only distraction from this came in the form of an offering of water from a young magician girl who seemed to be sporting animal accessories as far as Yaku could tell. Ani seemed to trust the young lady enough to drink from the water so Yakuroro would as well. Cupping his free hand, the Imuchakk took several handfuls to sate his thirst, sighing in relief as he felt the liquids refreshing his dried out body. After the break, they finally began to advance and Yakuroro did so via flight, staying 1m off the ground as he hovered near the fore of the group. When they came upon the golem, Yakuroro decided to remain silent for now and see how things played out. The girls had already engaged the creature in greetings and inquiries. The djinn holding magician would speak up when he had something productive to contribute. Adrastos’ cold eyes stared at Noir, watching her actions in regards to how she treated the competing team. He didn’t understand such an act of kindness and concern. Why should they care if they were all right? Obviously they would be, especially the mysterious figure that had saved them from being pelted by the sandstorm. Noir, to Adrastos’ observation, was a very caring person, just like Kazuya Akina, but the more he thought about the similarities, the harder it became to remember, as if the broiling heat of the Necropolis was melting away those precious bits of his past. So, when Noir checked his wound, he dismissed her. The wound to his shoulder was no big deal and the dehydration just made him numb to the pain since his body felt crispy and weak. Even while he cupped water in his hands and drank from the ice bowl Noir had conjured, Adrastos didn’t know why she was being friendly, introducing herself. 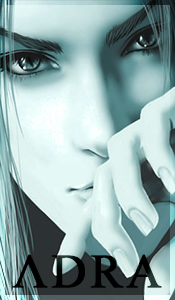 He mentally scoffed; he wasn’t planning on being friends with people that were his enemies, even if only temporarily. After drinking his fill, he followed behind in silence like the other unnamed figure. There was no need to talk when he was watching Noir. She offered suggestions instead of being forceful with commands. It was a decent attribute for her if she ever were be be a leader, but sometimes suggestions would only go so far until commands were needed to get the job done. Ani and Noir bother seemed to be at opposites when it came to how to act, like two sides of a coin. Ani didn’t make suggestions in the form of questions, but rather statements. It almost irked him when they arrived to the tower, halted by a massive golem that had its sleep interrupted, since she told them to be careful. The Imuchakk girl almost made it seem like they needed her permission to start a conversation with the creature, but perhaps it was just the way Adrastos perceived it. While the two girls asked their questions, the blue magician stayed back so he could survey the situation yet still be within reach to react in the golem attacked. Not a word would be spoken from him, not unless his comments would be absolutely necessary. The golem looked at the group while they would begin to ask about the tower. He spoke with a heavy voice, old and wise sounding but still strong and powerful. He would show no expression as he spoke towards them, but his words gave of a tone of honesty. For he would gain nothing from lying to the group because his task would stay the same nonetheless. "Why yes I am the guardian of this mighty tower, and it is my job to make sure anyone who is unworthy does not enter it. Without needing me to explain I assume you have already hypothesised that is where you should be going, and you would be correct. That tower standing behind me is the entrance to the chamber of my master so you can understand why I guard it. Now it's simple in order to get past me you have to prove you're worthy, for only those strong enough and willing enough to persist will get the chance to speak to my master." His expressionless face would stare down at them as he would wait for a response. He would not strike first for patience was his most valued virtue. Studying their movements the creature waited for how they would respond, as long as they did not try to pass him he would not move. Despite the fact that he would wait for them to attack him on the off chance they tried to run past them he would use Desert Breath on them, it was a large attack so it would be able to hit more than one incase they all tried to run past. While looking at them he did notice something, he noticed Spayce and Thyme. With the two animals being with the group, he was able to deduce one thing; these people were strong. Even though the small mammals were weak, they refused to accompany those who didn't have strength. It was their job to guide people to the djinn and while it was surprising people had made it this far, the eventual congregation of powerful contenders did not catch him off guard. Description: Desert golem is 10m tall and does A-tier basic damage with his body and moves at 10m/s. Water/ice magic does 1-tier lower damage to the Golem. 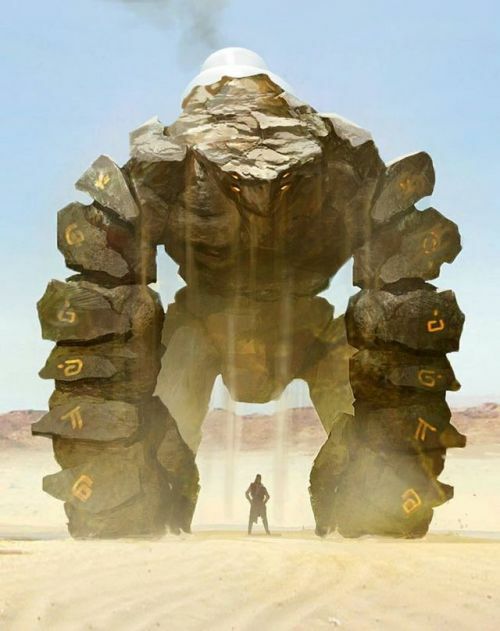 Abilities: Desert Breath~ The golem shoots a wave 20m long and 10 tall of dehydration magic which does A-tier damage and applies D-tier disorientation at 25m/s traveling up to 40m. Clobber~ The Golem swings his fist at 25m/s dealing A-tier damage to anything that it hits. Curl up~ The Golem curls up into a ball at 25m/s protecting up to Ω-tier damage. As she listened to the golem's words she went deep into thought wondering what they should do to get past the golem. She knew that destroying it was one option and she thought of running past him, but then thought that it wouldn't work too well. She smirked though as she heard the last of his words. Ani was indeed willing enough to continue no matter what happened, but she knew that she couldn't take on this golem without their help. So after thinking for a moment she just simply stood there looking to everyone of her companions and gave a slight nod to them. She was trying to say that they needed to work together no matter what during this part. She was also saying that she was ready and would move if needed. Once Ani was sure that she got her message through she stood strong with Hoyo right next to her. She was waiting for who would make the first move out of them all with the plan to adapt to the situation. She knew that she wasn't strong enough to attack the golem on her own so she waited looking for a chance to attack, or defend. “…understood.” Noir said it with a different look, her eyes which once were showing this warmness quickly shifted into the opposite. Her eyes were now cold, narrowed but determined. She was not going to just give up and walk away, that was not what she wanted to do. Meeting this golem master meant she would be much closer to this knowledge that she wanted to get about this interesting place. So perhaps by meeting the master, Noir could obtain this kind of ancient knowledge or even gaining access to some unworldly stuff. This excited her, she could feel herself trembling with something that didn’t felt like fear, and it was excitement that she felt. After that, Noir would ask Thyme to get ready to protect them anytime he could,“Thyme… do me a favor. Protect us, and we will protect you back.”Then after inhaling air deeply, the female magician continued while pointing her wand towards the golem, “Fulmine Palla…” In instant, after she whispered to the rukh, four electricity balls would be formed and would travel towards the golem to deal some damage. She knew this was not going to be easy…perhaps the Imuchakks could work together with them to deal with this golem even though she had not know about how they fight yet. But it is worth to try.... "Miss Ani! Let's bring the golem down together... shall we?" Description: The caster produces 4 electricity balls 1 meter in diameter that will travel up to 30 meters away at 20m/s, each ball inflicting D-Tier damage for a total B-Tier damage. Description: The user produces a long, 15 meter high water wave that will discharge in a 15 meter area within 30 meters of the user at 20m/s, dealing B-Tier damage. The fact that the golem would not let them by was typical. How could Adrastos have expected anything less? Because of that, it was likely that the golem would not attack first. That meant one of them had to make the first move. Ani just stood there waiting for something it seemed, but it was Noir who jumped into action first. There was no need for Noir to tell him to help her, he would have regardless, all thanks to whatever illness seized his heart, a once solid and unbreachable thing within his chest. Wit a wave of his wand, he sent Adrustum Aura II to clash with the golem’s Desert Breath alongside Noir’s spell, then cast Nemesis Sol and Inner Darkness after the spells would clash. All of the spells were directed at the golem in a ball of magoi before making contact and spreading to their 10mx10mx10m area. There was no way he was going to die today, not when he still had so much to do, so much to say, and maybe even so much to confess afterward. Description: The user controls the rukh to make the moisture in the air freeze at 20 m/s, freezing an area 10mx10mx10m-15mx15mx15m within 30 meters of himself, dealing B-Tier frostbite damage to anything caught inside. This ability may be sustained to be cast the next post. Description: The user commands the rukh to create a sphere of black light that has a diameter of 10m-15m and travels up to 20m/s within a 30m of the user, dealing B-Tier burning damage to anything caught inside. Can be sustained into next post. Description: The user sends a shadowy mist encompassing an area of 10mx10mx10m-15mx15mx15m that travels at 20m/s within 30m of the castor, entering a person's body to freeze and cause B-Tier internal damage as well as freezing 1 limb due to magic's passive. Based on the golem's words and the lack of attempts to sway it away from following its duties from the hopeful king candidates, Yakuroro concluded that things would soon come to a battle. It wasn't exactly the ideal outcome, but it wasn't one Yaku felt averse to either. The greatsword in his hands felt like it had a mind of its own sometimes and at this moment it was hungry to cleave into something. The Imuchakk's recent strength training and muscle memory around swordsmanship made him all the more attune to this desire. Yet despite this ravenous urge to lash out at something the Djinn wielding warrior remained calm and waited, hovering above ground just behind the magician's. Yakuroro watched as they began to cast spells and remained put to watch the results. The last thing he wanted to do was dive headfirst into the golem only to have a barrage of magical attacks at his back. Yaku would wait for Noir and Adrastos both to complete their castings first. Once they did, he would immediately rush in flying over the ground towards the golem using the spells themselves as cover to hide his approach if possible. Once in range, Yakuroro would slash at the guardian of earthen making. If the golem was attacking back, this slash would be made to intercept the blow. But if it still had it's handsful clashing with the spells he would take advantage of the opening and aim to sever one of the golem's arms with his attack. Either way, the phantom generated by Yakuroro's passive ability would approach from an arcing trajectory the rose into the air only to fall downwards with a stab for the golem's head seeking to smash in whatever semblance of a "face" it might have had. Passive Effect: When non-ability attacks are performed using Marax's weapon, a perfect illusory copy of the user is formed at its point of origin. This copy then takes a different trajectory effectively making it seem like the user is attacking twice in one instant. The copy can deal damage equal to the weapons tier, but unlike the real weapon, it can't clash with abilities and is treated like a "normal" attack. The speed and dimensions are all equivalent to the original attack being copied. In addition, the attack itself does not double the damage value and instead merely applies equal damage value in two places. For example, an enemy requiring B-tier damage to defeat can't be taken out with a single attack from the C-rank weapon equip simply because of this effect. The earthen creature did not use his desert breath attack since they did not try to run but instead chose to fight. As Adrustum Aura II and Acqua Onda headed for him he used Clobber slamming his arm into the two attacks clashing with them stopping them in their tracks. He was impressed with their strength but questioned why the small blue haired girl had chosen not to attack with them, was it because they had a plan or simply because the girl was to weak to fight him. Before he could come to a conclusion of his inquiry more of their attacks had started to head his way. He decided to Curl Up to block the incoming attacks, the balls of electricity struck him along with the shadowy mist and black sphere of mist but he took them with his block taking no damage. The mysterious figures slash applied enough damage to break through the rest of the block. As the illusion clone appeared above him after guard broke the golem swung his fist upward to clash with the overhead attack. They proved formidable, he had to use most of his strength just to stop that oncoming assault of attacks. While examining it was obvious that the mysterious man was the most dangerous of them all but if they continued with such attacks and with all of them then it the golem would surely lose, but would not go down before putting up the best fight that it could. In order to put up a facade to test their personalities it acted as if it wasn't phased by the assault they had unleashed. "Ha come one younglings, you need to put forth more of an effort if you expect to defeat me in combat. There is a reason I'm a guardian of this room. You will not be the first ones to think you're worthy enough to pass me, now prove yourself children." The guardian would not be given time to utter his brief speech. As soon as Yakuroro broke through the creature's defenses it moved to guard against the phantom strike. A move which the djinn equipped warrior would capitalize on immediately. As the Golem swung upwards, Yakuroro flew at 15m/s past the rocky guardian underneath its arm. The Imuchakk would attempt to cleave the golem's arm off as he flew past the mountainous dungeon beast. Simultaneously, another phantom clone would be created at the origin of this attack when Yakuroro began to move. The clone would again Rush the golem's face, this time aiming to smash it with the flat side of his greatsword. This would block the golem's sight if it indeed saw with eyes and give it something more pressing to focus on while the real Yakuroro made his move. The Imuchakk would keep flying past the golem, turning to face the target as he hovered backwards through the air until he was 11m away. From there, Yakuroro would begin to circle around keeping this distance in order to return to the group knowing that he could better protect Ani from frontal attacks if he were close to her. Description: The caster will produce a 1 cm in diameter and 15 meters long lightning strike that descend downwards to the target up to 30 meters away at 20m/s inflicting B-Tier damage. A child? Children? Prove yourself? Adrastos felt his eyebrow twitch with aggravation. A giant piece of stone had no right to utter such foolish words. The magician tightly gripped his wand, and glowered at the golem, tempted to unleash a flurry of spells yet restrained from doing so. With a flick of his wrist, he sustained Inner Darkness and Nemesis Sol, resulting in blood dripping from his eyes and down his face, hindering his vision. Adrastos was lucky though, as he had prepared and brought along a special potion that would allow his magoi to replenish when he would be low. He drank a Potion of Rejuvination, then wiped the blood off of his face and out of his eyes. This thing wouldn’t go down easy, that much was certain, but neither Adrastos, Noir, or the others would give up either. A magical potion that can restore up to ½ the players magoi/stamina instantly (so half of your total amount added onto your current supply). You cannot regenerate more magoi/stamina than you have in total. Only one of these potions can be used per thread. Once this potion is used it is gone! Ani watched as her companions attacked and seeing what the golem did made her believe what she did was the right choice of action. If she had attacked just then she would've wasted energy while potentially harming herself and Hoyo in the process of it. She knew that they had to be smart in order to take out this golem. As Noir spoke she nodded her plan was indeed to work with them all in order to take down the guardian. Though Ani knew that she couldn't take her time and let her companions do all the fighting, and then she heard the golem's words which made her smirk slightly before whistling to Hoyo. As she saw them taking their next attacks Ani decided she was going to attack during this time. Ani looked to Hoyo and quickly pointed forward to command him. She had Hoyo charge at him before snapping her fingers to command him to body slam into the golem's legs Immediately after he was commanded to do that Ani whistled to tell him to follow it up with another attack and Roll over. Ani knew that her attacks may not work, or only do a little damage, but in this situation she was going to keep trying and trying. She would damage it, or at least create an opening for one of them. During her commands though Ani was doing something peculiar, she was in a stance as if she was ready to attack. Ani was looking for an opportunity that would allow her to get closer to the golem quickly and attack it herself even if she wouldn't be able to do it soon. Damage details: C-tier dehydration to Ani and Hoyo. Description: Hoyo rolls 5 meters in any direction at 10 m/s, dealing D-tier crushing damage to anything in his path. Description: Hoyo rams into a target at 10 m/s to deal D tier damage.